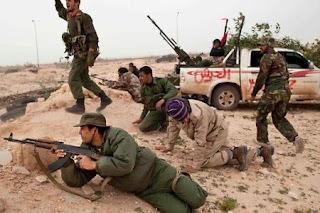 The Libyan revolution, a part of the Jasmine Revolution is a closely followed topic right now. Much has been written about it in the newspapers and much more has been discussed across dinner tables in various homes. But, the question is; Who is Muammar Gaddafi and why is it so very difficult to get rid of him? Every other country where the Jasmine revolution has taken place, it has been a very quick affair, except for Libya. Only in this particular country has there been so much bloodshed necessitating external intervention. What is it about this man, that makes him so vile for some citizens but dearer to the rest? Why is it that the whole world is watching with bated breath as to what he will do next? Muammar Gaddafi,or “The Brother Leader” as he likes to be called is a very shrewd man.This is evident in the way he organized a coup against the first and only king of Libya, King Idris. What came after the coup was sheer strategic brilliance. Gaddafi realized that he needed to prevent a coup against himself. He realized that in order to control the people, he needed to cripple them. So, he prevented them from learning other languages and learning from other countries, effectively trapping them in a snow globe that was Libya. 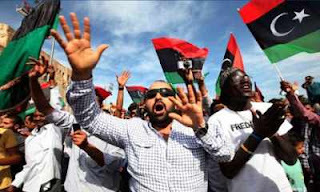 He made them believe that Libya was the only place left for them. Next, he placed laws to instill fear. As a result, the people were hard wired to love him right from the start. Ironic, isn’t it? Even now, as planes keep dropping bombs on him, his tone is not of arrogance, but that of mild chiding. He addresses the rebels as misguided children and implores them to see reason. He puts on the perfect facade of a benevolent leader. Thus, he has his own people fighting each other while he relaxes in some safe location. 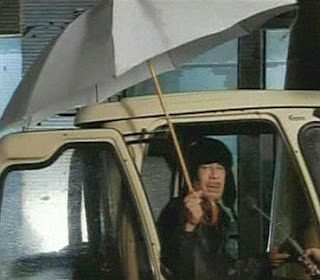 It is clear by this point that Gaddafi is a tough nut to crack. However, just like every other nut, he too must eventually crack. Its just a matter of time.